In continuing with the second part of this blog, we’ll discuss some of the factors and variables in regards to standard of care (SOC). Location- The location of the practice dictates the SOC. 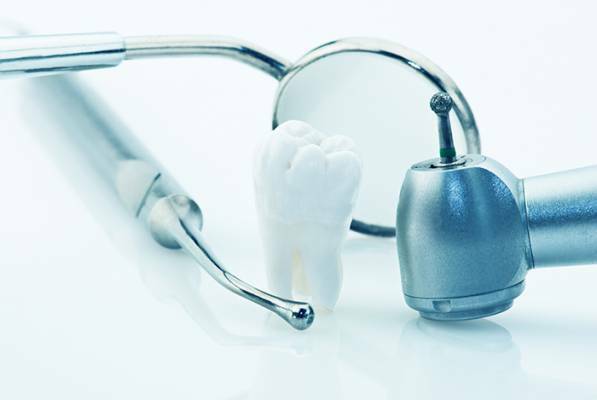 In rural areas, there may be few dental practices and fewer specialists. Therefore, treatment that would normally be referred to a specialist may be performed by a general dentist. However, this is not to say that the care will be sub-standard. Rather, the general dentist will have a greater responsibility, and the SOC may be different. Medical Conditions- The patient’s medical condition may guide SOC. Depending on the severity of their health condition, the patient may not be able to withstand ideal treatment. Therefore, a minimal and less invasive procedure might be more appropriate. Economics- The patient’s inability to pay for a procedure is a very common occurrence. Even with insurance, the remaining balance can be overwhelming. In this instance, the patient and the doctor may have to take a step back and develop a plan that will allow for treatment within the patient’s budget. This doesn’t necessarily mean that the patient’s dental health is being neglected; it means that both parties are realistic in providing the best treatment with the available funds. Continuous Evolvement - SOC continuously evolves due to new technology, improved materials, and current court rulings. As updated information becomes available, the doctor is responsible for incorporating necessary and progressive methods into the practice as deemed safe and practical. SOC Dictated by the Patient- On the flip side, patients may try to convince the dentist to override their needs and address their wants. Patient-driven care can easily lead to costly aesthetic overtreatment and negligence of proper oral health. It’s wise to have the best interest of the patient as a top priority. Base treatment on sound judgment, do no harm, use evidence-based techniques, and meticulously document each visit. Taking into account that most practitioners view ethics, morals, and values in high regard, practicing within the standard of care is second nature. The next topic in this blog series is Informed Refusal (treatment refusal). Informed refusal pertains to a patient declining procedures even after being informed of the consequences of not receiving the proposed treatment. 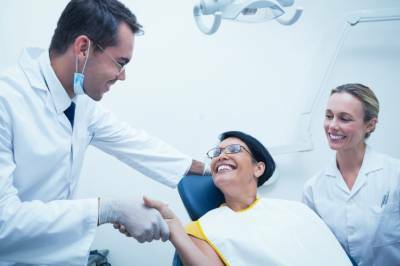 Standard of Care- The Gray Area of Dentistry is first in this blog series dedicated to some confusing legal aspects of the dental profession. In this litigious society, care must be taken to ensure that all phases of treatment are delivered with the highest of standards based on the needs of the patient. Standard of Care, Informed Refusal, Supervised Neglect, “Firing” a Patient, and Malpractice will be included in this series to help navigate the murky waters in preventing and handling a legal situation in your practice. Standard of care (SOC) by definition is a written explanation outlining actions, rules, or conditions regarding the care of a patient. SOC in dentistry is principles taught by accredited dental schools and accredited hygiene programs and describes standards carried out by the profession. SOC is determined by each state, and most dentists and hygienists don’t understand its meaning or how it’s determined. In part two of this blog, we’ll explore some factors and variables of the standard of care. Body modification is the process of purposely altering the body to achieve a certain look or physical feeling. Some body transformations are viewed by society as normal and beneficial such as orthodontics, conventional plastic surgery, Lasik eye surgery, and ear piercing. Alternatively, there are modifications of the body that are considered odd and disfiguring. Following are some of the more unusual things people do to alter their mouth. Gap Band- A gap band is an elastic rubber band usually purchased through a website that is placed around the two front teeth to “close the gap.” The space may close, but there can be many complications. Moving teeth correctly is difficult and precise and takes place over a specific amount of time. Proper orthodontic treatment is orchestrated by an orthodontist who has many years of formal education and experience. If teeth move too quickly or at the incorrect angle, permanent damage can occur to the blood supply, connective tissue, and nerves surrounding the tooth leading to possible tooth loss. Dental Grills & Gold “Caps”- Grills are ornamental covers that fit over the top or bottom front teeth. They are made of gold, silver, non-precious base metals, or jewel inlaid precious metal. Gold caps are cosmetic gold teeth that fit over a single tooth. Kits are available to purchase online that allow consumers to gather the requested information, and an online lab will create the grill or cap. Some are removable (recommended), and others are glued onto the teeth/tooth (not recommended). Because a dentist is normally not involved in these processes, grills and caps are placed over existing teeth without any preparation to allow for the extra space needed for the appliance. The result is that they are ill-fitting and bacteria can grow rapidly between the device and the tooth causing decay and/or periodontal disease. Grills and caps fabricated with non-precious metals can cause serious metal-allergic reactions. Mouth Piercing- Mouth piercing is fairly common in various places in the mouth (tongue, gingiva, frenum’s, and uvula). Even if the piercing is done in an establishment that offers the service, having it done can lead to infection, excess bleeding, tooth damage, nerve damage, aspiration of the barbell or ring, keloids, Hepatitis B or C, and even HIV. Tooth Tattoos- A tooth tattoo is an image printed onto a crown before it’s cemented permanently into the mouth. 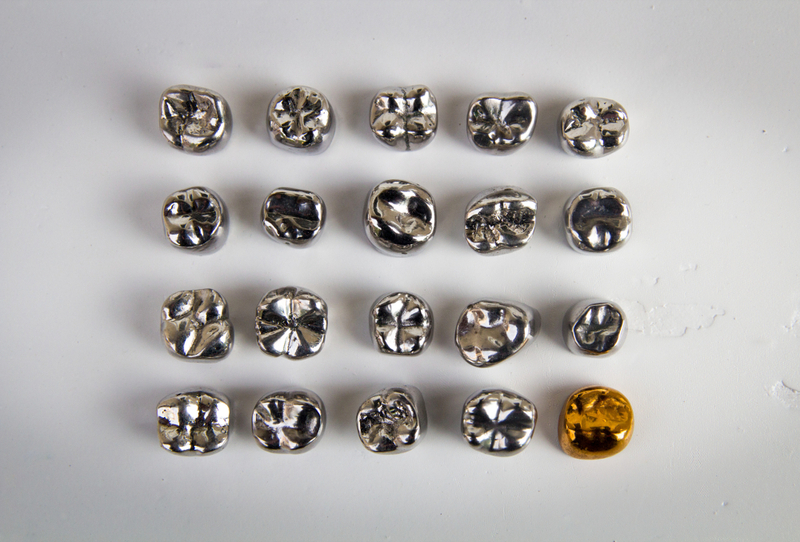 The crown is fabricated in a dental lab and is cemented on a tooth that a DMD or DDS has properly prepared. Tooth Modification- Tooth modification is very extreme. It’s hard to predict who might perform this service because removing healthy tooth structure in this manner is something most dentists wouldn’t consider. In this process, the front teeth are reduced dramatically thus providing sharp points on the biting surfaces. This action is irreversible and would require major rehabilitation to restore the teeth back to ‘normal.’ Another popular alteration is creating fangs to the canine (eye-teeth) with composite material added to the biting Fangs are more conservative and easily reversed. Tongue Forking- Tongue forking is an extremely invasive procedure where the tongue is split vertically down the middle giving the appearance of a snake’s tongue. As with piercing, even if the consumer is going to a legitimate studio, care must be taken to avoid diseases, permanent damage, and life-threatening consequences. The bottom line- any process that involves the patient or anyone else who is not a doctor performing an extreme procedure in an unsterile environment and with unsterile instruments should think twice before proceeding. Believe it or not, school is back in session which means it’s time to get back into the routine. While summer is a time to be carefree and have fun, the school year brings structure and a hectic pace. Part of the transition is resuming proper personal care including oral health. 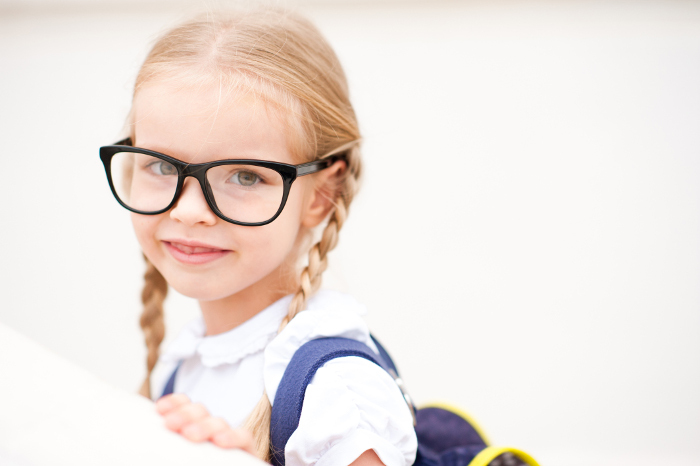 Supplies- Just like pens, pencils, and backpacks, kids need the right tools when performing oral health care. A new toothbrush, floss, toothpaste, fluoride rinse, mouthwash, and any other aids are in order. If your child is in orthodontic treatment, other devices may be necessary such as a power brush or an irrigation device. Regular Bedtime- Although it doesn’t seem directly related to oral health care, sleep is very important. With exhaustion and improper sleep patterns comes the probability of clenching and grinding the teeth. When short-lived, bruxing and clenching isn’t too problematic. However, if it becomes a long-term habit, it can be very detrimental. Stress the importance of sleep and reasonable bedtimes to your child. Going back to school doesn’t have to be a dreaded experience. As long as you’re prepared, the new schedule won’t be too difficult to integrate, and the entire household will be in sync and happy. Pre-rinsing before dental procedures? Yes, please! 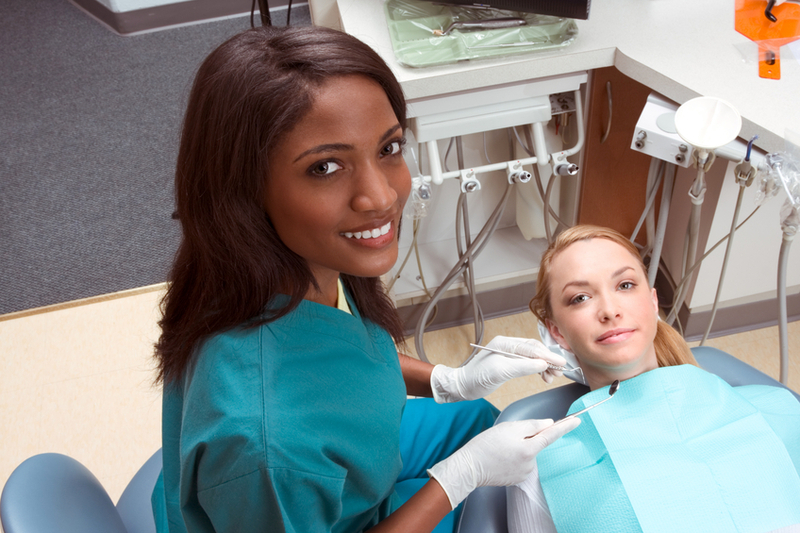 Do you have patients pre-rinse before each dental procedure? If not, it may be time to add this simple step to the appointment because it greatly reduces cross-contamination of harmful microbes. Today, we’ll discuss who, what, and why rinsing right before treatment is beneficial. Who- The patient being treated should rinse with an antimicrobial product for 30 seconds before the procedure. By swishing beforehand, the number of microorganisms present in the mouth is reduced thus decreasing the number of contaminants entering the patient’s bloodstream. Furthermore, the treatment site heals better and with fewer complications. Why- The amount of aerosol that comes out of the patient's mouth while drilling, power scaling, polishing, and using any other aerosol producing instrument is astounding. This aerosol contains harmful bacteria, fungi, viruses, and biofilm that contaminates everything and everyone in its path. Providing mouthwash beforehand significantly reduces the number of harmful contaminants for the patient and the clinicians. Providing mouthwash before treatment is extremely cost-effective and simple. It may seem like one more thing to add to the appointment, but the benefit far outweighs the minimal time and effort.